But before you break your arm patting yourself on the back, how do you know if your retirement savings are on track? It’s important that you start asking that question right now, because it will be much harder to course correct as you near retirement than if you start making changes as soon as possible. The best way to figure out if you are saving enough for retirement is a yearly Retirement Progress Checkup. What is a Retirement Progress Checkup? A retirement progress checkup is an evaluation that uses your current retirement savings habits to project what your retirement savings will look like as you near retirement. 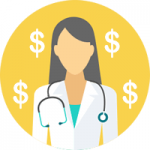 The result of the checkup can let you know how likely it is that you will be able to achieve the retirement you want. If you are falling behind, you’ll have the incentive you need to start saving more or to revise your retirement expectations. You’ll need to schedule a couple of hours once a year. First, figure out the total amount of your retirement savings. This should include your 401(k), IRAs, Roth IRAs, and other investments you‘ll use to fund your retirement. Then figure out what portion of your total investments are in stocks, stock mutual funds and stock ETFs, and what portion are in bonds, bond mutual funds, and bond ETFs. All cash savings can be included in your bond percentage. Next, head on over to your favorite retirement calculator. If you don’t have a favorite retirement calculator, here is a good one from T. Rowe Price. The calculator will ask you to plug in the investments that you’ve already compiled along with personal information such as your age, salary, planned retirement date, and the amount you’ll been saving for retirement each year. You will also be asked to plug in your Social Security benefit, which you can find on the Social Security Administration’s Retirement Estimator. When you put in all of your information, the calculator will be able to estimate your chances of retiring on time, on 75% of your projected pre-retirement salary. If the calculator gives you an 80% chance of success or higher then you are in good shape as long as you continue your good savings habits. If your calculator gives you some bad new, don’t panic! You still have time. The smartest thing you can do to help put your retirement back on track is to increase the amount you put into your retirement accounts each month. You may also want to consider putting your retirement off by a year or two or even embracing semi-retirement and working part time for a few years to lower the burn rate of your savings. For even more great retirement savings tips, read our full archive of educational articles about how to finance your perfect retirement. Do you have a conference or workshop in the northern Virginia area? The Second Saturday divorce workshop is held in numerous locations around the country. 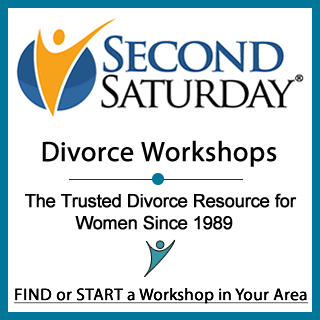 Go to SecondSaturday.com and click on Find a Workshop to find one near you.